Qualcomm is planting the seeds for 4K video and faster LTE speeds in more affordable smartphones with its new Snapdragon 620 and 618 processors, which will reach devices in the second half of this year. The new chips could be in smartphones priced at $300 and above, and some performance and 4K features are being cascaded from the Snapdragon 810 chip, which goes into premium smartphones priced above $500. 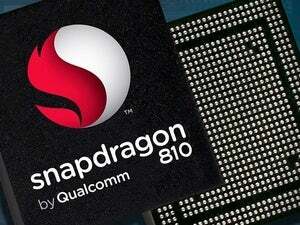 Previous Snapdragon 600 series chips have appeared in a few handsets and phablets from HTC, Samsung and LG. Amazon’s Fire TV also uses a Snapdragon 600 chip and is able to deliver full high-definition video to TV sets. The new 600 series chips are built to support Android and Windows, said Tim McDonough, vice president of marketing at the company. Smartphones won’t have 4K screens, but they are being becoming devices through which ultra-high-definition videos or games can be streamed to larger screens, said Bob O’Donnell, principal analyst at Technalysis Research. Qualcomm’s chips will bring those capabilities to mainstream smartphone users, who currently would have trouble finding 4K in handsets priced between $250 and $400, O’Donnell said. Slowly but steadily, more 4K content is also becoming available, and demand for mobile devices that can handle that resolution will skyrocket, said Mike Feibus, principal analyst at TechKnowledge Strategies. “If you don’t want it now, you’d want it in six to nine months. It’s proliferating fast,” Feibus said, adding that Qualcomm has been aggressive in pushing 4K into lower cost devices. The new 64-bit Snapdragon 620 and 618 chips are based on the ARM Cortex-A72 design, which was announced just two weeks ago. The Cortex-A72 is considered ARM’s most powerful chip design and is roughly 3.5 times faster than the current 32-bit Cortex-A15 design. The eight-core Snapdragon 620 has four Cortex-A72 CPUs and four Cortex-A53 cores. The six-core Snapdragon 618 combines two Cortex-A72 cores with four Cortex-A53 CPUs. The lower power Cortex-A53 cores are for background tasks like taking phone calls and playing MP3 songs. The Snapdragon chips have the Adreno 405 graphics processor, which is able to process 4K video for display on larger screens connected to handsets. The chipset supports two 13-megapixel cameras and can capture and play 4K video based on the H.265 format. An integrated LTE modem will work in different parts of the world. It will have maximum speeds of 300Mbps for downloads and 100Mbps for uploads. The Snapdragon 620 and 618 chips will support LTE Broadcast and VoLTE (Voice over LTE). Qualcomm also announced new eight-core Snapdragon 425 and 415 chips, which are for “high-volume” smartphones, which could mean low-cost smartphones under $200. 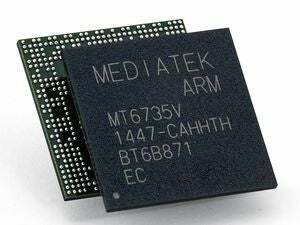 The chips are based on 64-bit ARM CPU cores and have faster LTE connectivity compared to previous Snapdragon 400 series chips, according to Qualcomm. The chips are being released just after Qualcomm settled a $975 million [M] fine by the Chinese government for taking advantage of its dominant market position to overcharge customers.